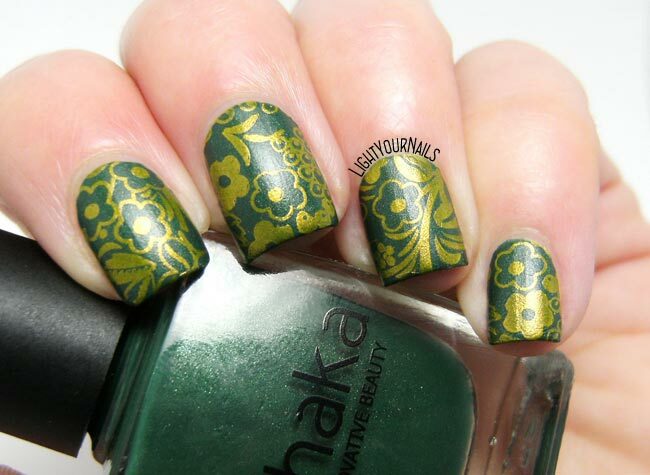 Green and gold flowers stamping | Light Your Nails! 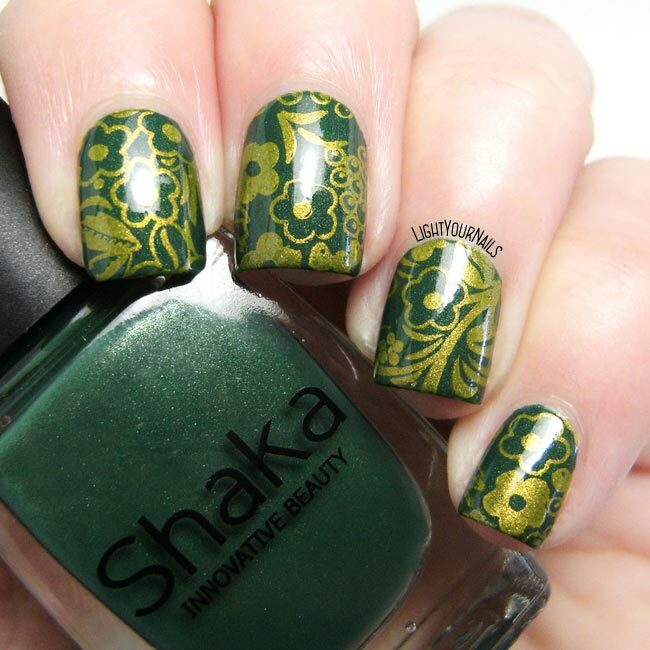 I love how the gold stamping sort of transforms into a metallic green! I love how the mani comes together matte. Thank you Stacie! I agree, it feels a little retro indeed! Very beautiful combination! It has a semi-vintage feel that I really love. BPS plates have amazing images on them. 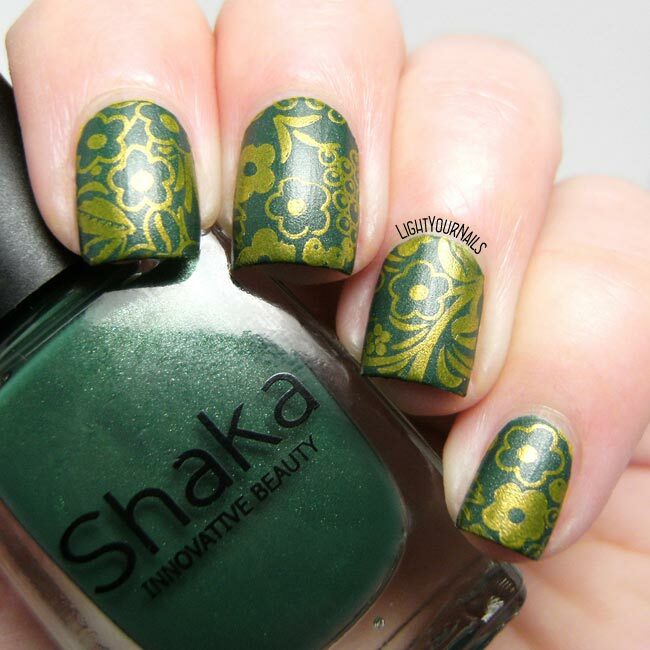 The gold is very refreshing on this green base. Thank you! I love BPS plates, I wished they released more, they seem to have stopped a little lately. Hooray, congrats! 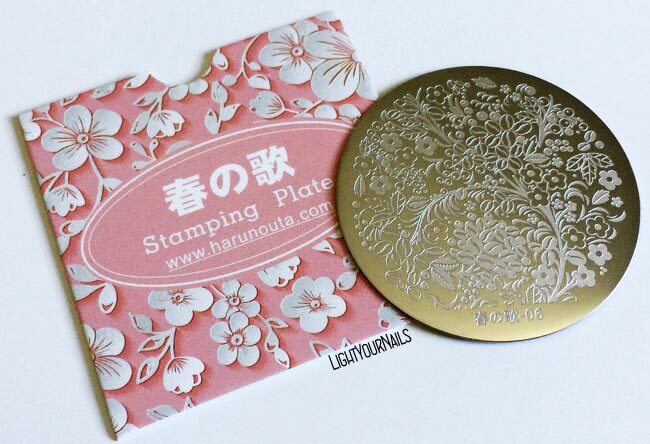 :) That's a super cute stamping plate. 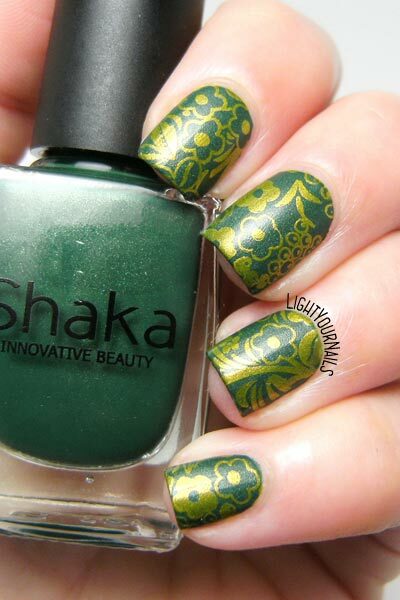 Although I really love shiny nails, I love the matte version with this one! Pretty! That is a really pretty color combination. I like the design too.